Testing your deck is the best thing you can do to practice for Modern. But, what decks do you need to test against? We run through the Modern Gauntlet in this weeks episode of MTGYou. Leave a 5 star review on iTunes! We are back from the holiday break. Come join us as we try to make it thru another episode. Can we remember how to even do a podcast? MTGYou #95 – How was your Shadows Over Innistrad Prerelease? 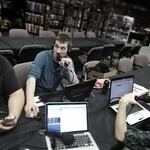 We talk about our experiences at the Shadows Over Innistrad Prerelease. we also cover our first impressions with the set. Read moreMTGYou #95 – How was your Shadows Over Innistrad Prerelease? Seems that if you want truly random numbers from your dice, casino dice are the way to go, although availability may vary.